Manteo in English: EXTRA WORK!!! How are you doing? Are you having a nice weekend? I hope so! 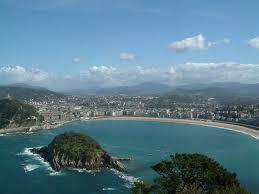 Today, I want you to tell me which is your favourite place in Donosti and why you like it so much! maybe because it is there where you meet your friends, maybe because of the scenery or whatever reason it makes a special place for you. This is an easy task, you only need to write 5 lines about your favourite place in your city and you will get an extra positive! 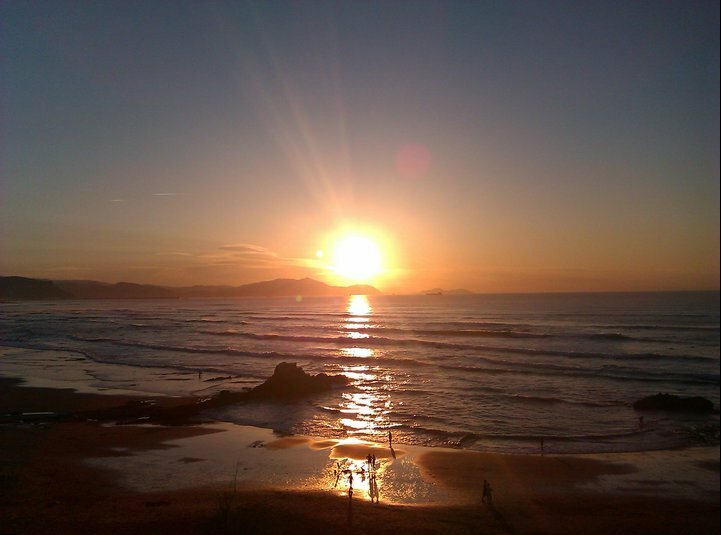 In my case, my favourite place in Sopelana is Atxabiribil beach. I love it because in summer I spend there most of the day, swimming, sunbathing and having fun with friends. Then, in the evening, I enjoy wonderful sunsets, for me, the best sunsets all over the world!!! I you don´t believe me, have a look at this picture! So, now, it is your turn to tell me about your favourite spots in Donosti! See you tomorrow! and remember you should bring a costume or something related to Halloween, because, as I have already told you, we are going to prepare writings about Halloween in groups! It will be great! Enjoy your long Sunday and start sending in your comments! My favourite place in Donosti is Zurriola beach because I practice bodyboard, I sometimes surf with my brother and I go with my friends. The first positive is for you Luis! well done! 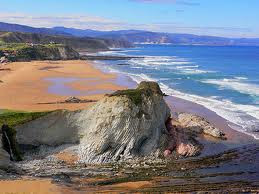 I agree with you, Zurriola beach is just increadible! My favourite place is the Boulevard. There is good ambient and there are many things: shops, a cinema (in La Bretxa) and there are people who dress up, play instruments, draw pictures, tattoos, braids ... I love a lot. Kisses!! Very good Amaia and Lidia!!! Amaia, I also like Boulevard, it is always full of people and there are plenty of shops and street singers, which I love! See u tomorrow! As you were out on Monday we will do the activities about Halloween tomorrow! My favourite place from Donostia is Miramar palace. It´s very beautiful and my friends and I sometimes go to it. One day, in the evening, we saw three dolphins jumping on the sea. It was very, very beautiful. I love these place. Very good Lorena and Ramon! I should visit both places, I´´m sure they are amazing!!! My favourite place in Donosti is Cataluña park. I like it because it´s where I meet my friends and I also play with theme. The other day I went to a birthday party at that place. That´s why I like this park. I love Donostia, and I have two favourites places une is a Santa Clara ireland and the other is Miramar.Is a very beautifull for me. My favourite place in Donostia is the Santa Clara island. I love going to Santa Clara with my friends, it's very funny! I celebrated my brithday there, it was fantastic! Very good Irati, Irene and Marina! I see I should visit Santa Clara! My favourite place in Donosti is the sea, because I like water and swim in the sea. but "better late than never"
I don´t have a favourite place in Donosti, I like every part but i have to chose I will chose Igueldo and the views that you see from there.